The Area Five police are probing leads that a man in custody may be linked to the grisly discovery of the body of eight-year-old Shantae Skyers in the Sterling Castle Heights area of Red Hills, St Andrew, yesterday. Skyers’ disappearance since last Thursday had triggered a frantic search that touched the nation’s pulse as the girl’s parents, Fabian Skyers and Crystal Service, were joined by an army of volunteeers scouring the bushy community in the hope of a reunion. But that flickering flame of hope was extinguished yesterday when Skyers’ body was found among rubble about 12:30 p.m. 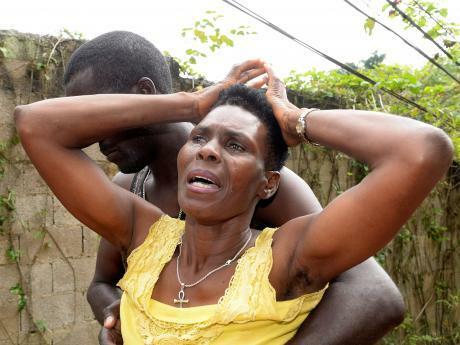 Her death brings to nine, the number of children murdered in Jamaica since January 1. While declining to divulge further details, Superintendent Leon Clunis, who is leading the investigation, said that one man was taken into custody for questioning and his house searched. He hinted that the detention of the individual for an unrelated but similar incident could provide a breakthrough in Shantae’s murder. 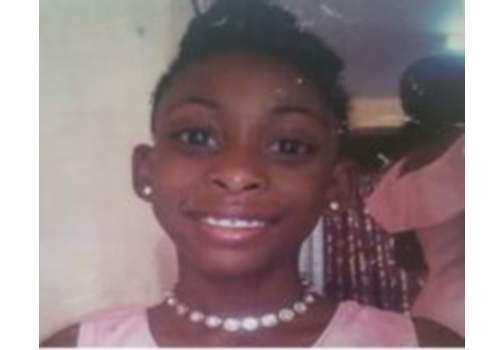 Clunis said that police have received information that suggests that little Skyers was last seen in the area, “which is some distance away from here (Blue Hole)”. “We would have picked up some leads since morning, but where they are going … is another angle that we have to look at. All we have is pure speculation at this time, but we believe that everything was done in that area,” said Clunis. “We are following several leads. There is a person in custody from Sunday in relation to something similar, so we will be looking at that person as well. No stone will be unturned until we get to the bottom of his,” Clunis added. Shantae’s death sparked a mixture of anger and sorrow, as stunned residents of Sterling Castle Heights who knew Shantae described her as “a quiet and intelligent little girl”. A tearful Juliet Cuthbert-Flynn, member of parliament for West Rural St Andrew, where Sterling Castle Heights is located, was devastated as she and other onlookers converged near the death scene. “The community and I are beside ourselves. The mother, she’s totally distraught,” said Cuthbert-Flynn. The MP told reporters gathered at the scene that she believes that the perpetrator resides in the community and urged the security forces to use every available tool to bring “the one who did this to face justice”. “It is really a sad day. It really is. I guess the good of the bad in this is that we have found her body, and if there’s any closure that can come from this, it is finding the perpetrator and putting that person away for a very long time,” Cuthbert-Flynn said. The police say the search intensified when personnel from the Caribbean Search Centre, the Canine Division and the Jamaica Defence Force joined the effort. As the investigation transitions into a murder probe, the police say personnel from the Community Safety and Security Branch – who had been giving support to the family since the child’s disappearance – have been joined by the Victim Support Unit to deliver a new phase of intervention for those affected. The hunt for Shantae’s killer will require all hands on deck, Clunis said, adding that the police are fast-tracking the investigation.